To add insult to injury, Foreign Secretary Boris Johnson (left) during his tenure as Mayor of London instituted cuts that have stripped London of 7,000 of its firefighters in the last five years, with numerous Fire Station closures and other cuts to frontline emergency services. 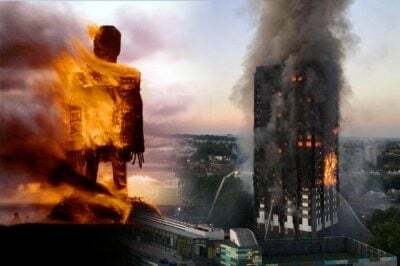 So how did Grenfell Tower turn into a death trap for so many? The organisation responsible for maintenance and safety at the social housing block is the Kensington and Chelsea Tenant Management Organisation (KCTMO). But the organisation’s name is deceptive – far from being a tenant-run company, the ‘TMO’ is actually a private company – an aloof ivory tower that sits far above the actual residents, and who ‘manage’ 10,000 properties… with handsome salaries and fees for selected executives and contractors. 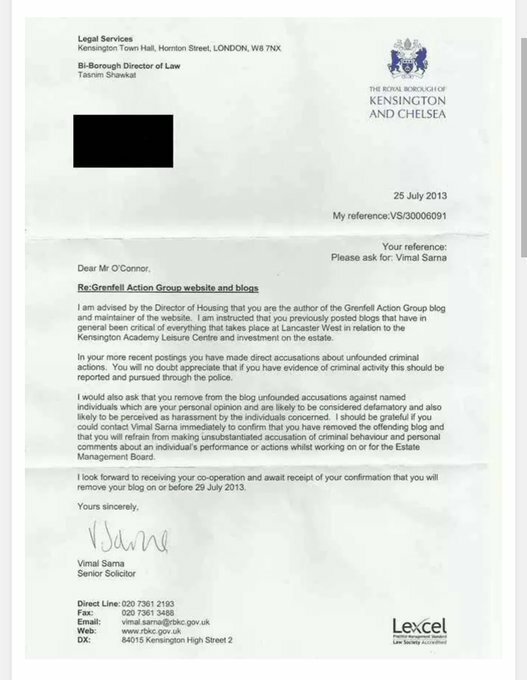 Although Grenfell Tower is owned by the Borough Council of Kensington and Chelsea, the management of the tower block is subcontracted out to the TMO.